The Genki Temagari 500 is a very traditional heavy duty Japanese pruning saw. 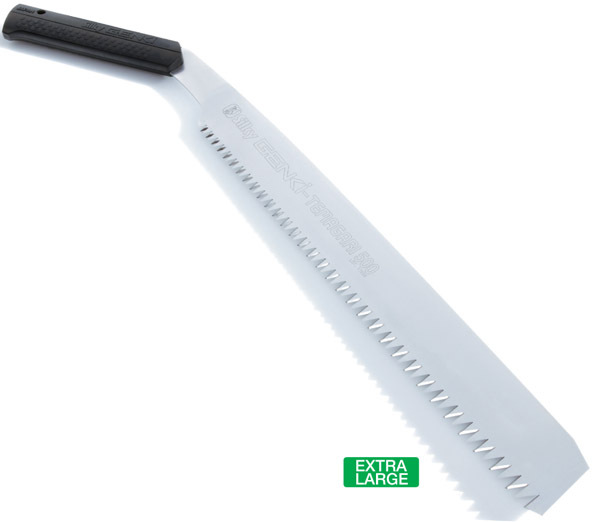 It is one of the longest and most aggressive hand saws on the market with between just 3 and 5 teeth per 30mm. 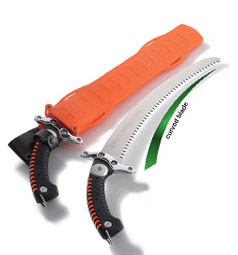 It has extra-large non set teeth and as such it is suitable for heavier pruning tasks. Temagari is the Japanese word for the traditional 'whale shape' of this saw. The Genki Temagari has a 500mm blade. 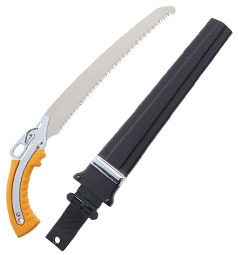 The saw comes with a comfortable sure-grip rubber handle and a custom nylon shoulder bag with Velcro fasteners and a pocket for spare blades. 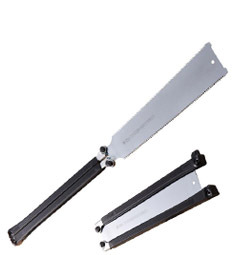 The saws are designed to have replacement blades and all other parts are also available. 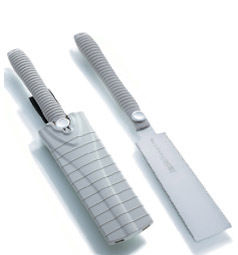 Genki Temagari blades can also be re-sharpened for longer life. 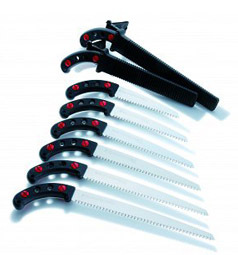 Temagari blades can be re-sharpened for longer life. The Genki Temagari utilises Silky’s proprietary 4-Retsume teeth technology which literally means ‘4 rows of teeth.’ As a result the teeth are set in such a way that there appears to be 4 rows of them which leads to faster, easier pruning.